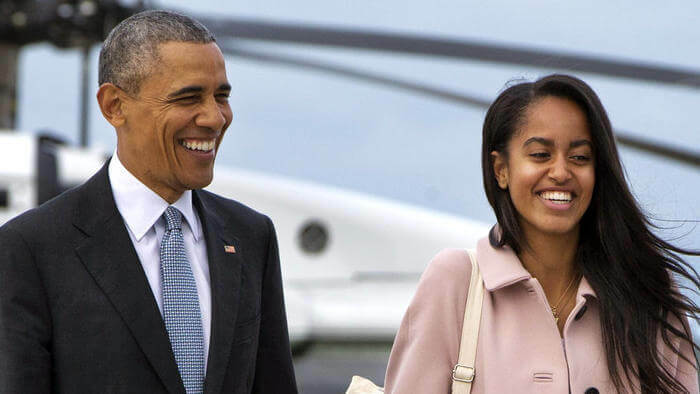 Former US President Barack Obama is one proud dad as his baby girl Malia Obama becomes a Harvard University freshman and moves into the historic campus. On Monday, the beautiful former first daughter officially moved into her campus residence. Former POTUS Barack Obama and his wife Michelle joined their 19-year-old daughter for Harvard's opening and we're spotted in the square area. Teenage Malia graduated from Washington, D.C.’s private Sidwell Friends School last June, but delayed getting into university by opting for a gap year. During that time she toured several Ivy League colleges and also did an internship with film and television production company Weinstein Co, the iconic company founded by Bob and Harvey Weinstein. But after making an appearance at the Sundance Film Festival and visiting Bali and other notable places with her dotting parents, Malia was finally ready for school. Yes she was literally ready to move out and take that first major step of independence. I have a feeling we'll be hearing great and interesting things about her in the near future.